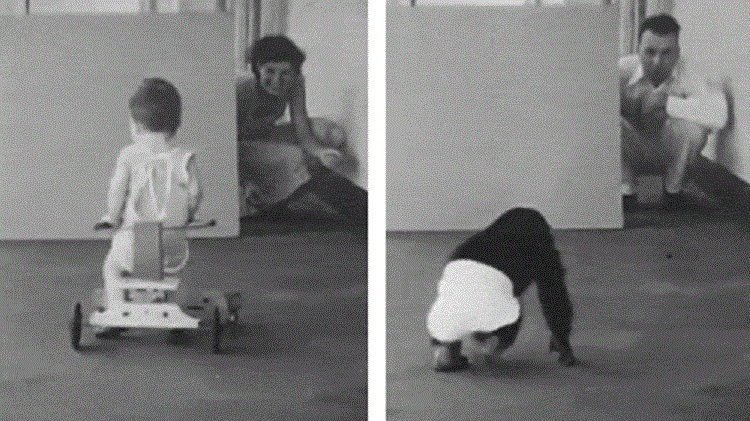 What Happens When You Raise A Chimp With A Baby? If movies are to serve as any guide, if a baby grows up in the wild, he'll be wild himself. But could the opposite hold true for animals raised as humans? If movies are to serve as an authoritative guide to reality, then we’d have reason to believe that a person who grows up apart from society and in nature will wholeheartedly embrace his wild side, almost becoming indistinguishable from his animal brethren. But that does raise a question – could the opposite be true? If an animal is taken from the wild and raised by humans not as a pet but as a child, would it act more like a human? That is what psychologist couple Winthrop and Luella Kellogg sought to answer in 1931. 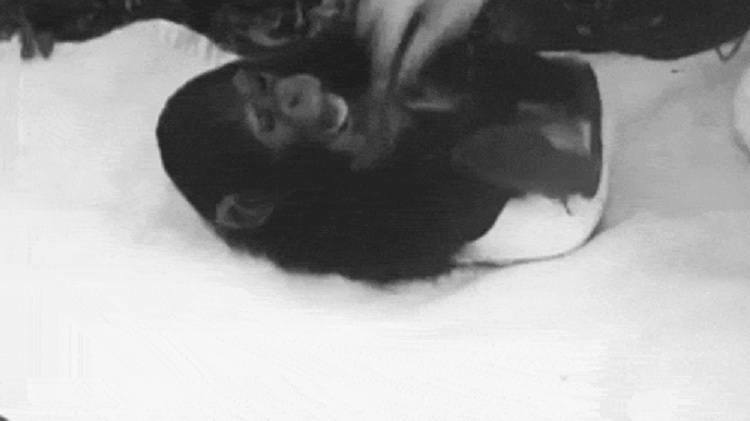 And they adopted a baby chimpanzee named Gua to do it. 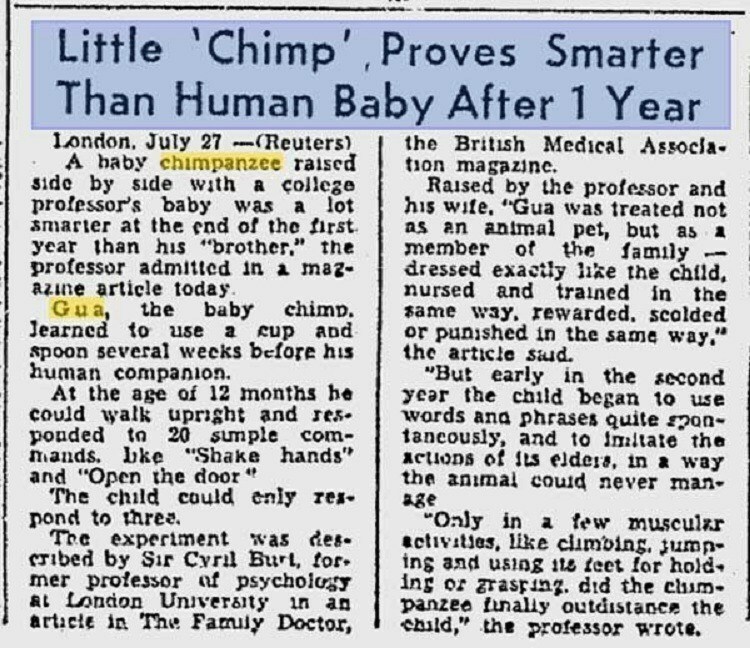 The experiment gets a lot weirder, though, since the Kelloggs also had an infant son of their own named Donald when they started their research. 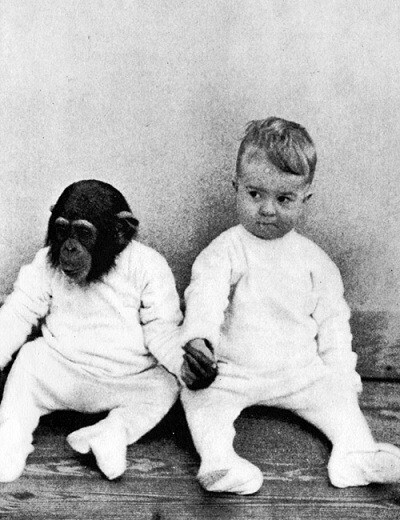 So although the original goal of the project was to see how “human” a chimp can become if reared in a human environment, Gua and Donald were basically raised as siblings, and comparisons between their development were inevitably made. 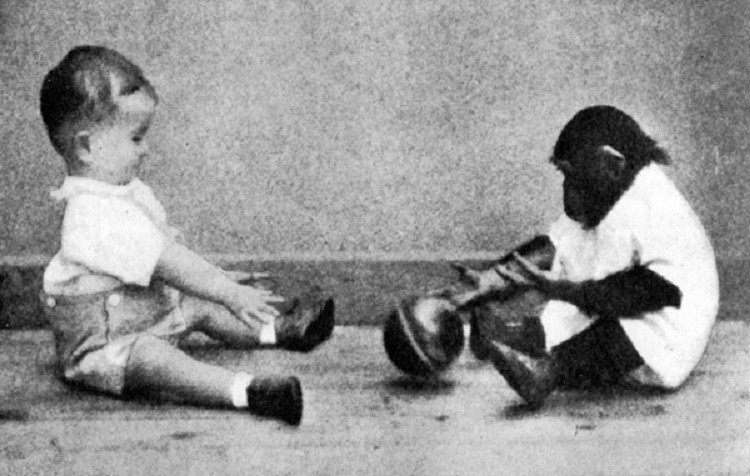 Gua was 7 ½ months old when the experiment started, and Donald was slightly older at 10 months of age. The two were raised as brother and sister as much as possible: they were dressed and trained the same, they ate the same food, engaged in the same activities, etc. 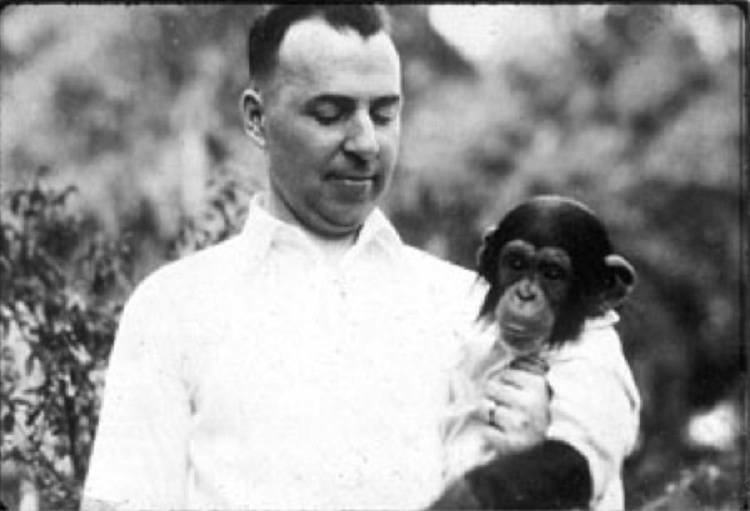 As part of their development, Gua and Donald were regularly administered tests to monitor various parameters, particularly intelligence and behavior. What happened next was a bit of a surprise to the Kelloggs – Gua was “smarter” than Donald, at least initially. While still under a year old, Gua regularly excelled at tests, while her “brother” experienced more challenges. This shouldn’t be that surprising, though. 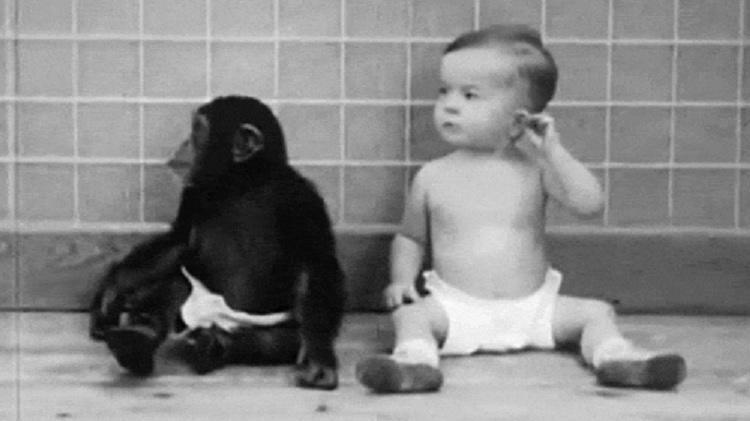 After all, chimps that grow up in the wild need to keep their wits about them if they are to survive, even when they are young. By comparison, human babies are practically defenseless and clueless until they reach an age of, let’s say, 23 to 24 years. It wasn’t really until both Gua and Donald were over one year old that Donald started to gain an advantage, since language began to play a role in development and, subsequently, test performance. At the same time, Gua continued to dominate in physical exercises such as running and climbing (again, not Earth-shattering revelations). The Kelloggs were not delusional. They realized that Gua wouldn’t suddenly be able to talk just because she hung around humans for a bit. But they were hoping that her grunts and various other noises would begin to mimic human speech (they didn’t). In fact, something more interesting actually happened – Donald began to mimic Gua’s mannerisms and sounds. Concerned that they might end up with an ape-man for a son, the Kelloggs to put an end to the experiment nine months in. 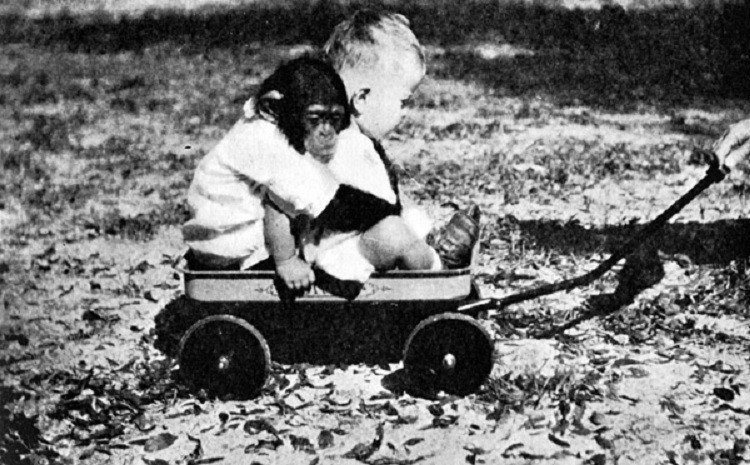 They then documented the study in a book called The Ape and the Child and returned Gua to the primate center from which she was originally adopted. Unfortunately, less than a year after being separated from her “brother” Gua died of pneumonia. But her contributions to psychology are still noted and appreciated today.